All the information from the online survey, the vision of the concerned patient organisation and the outcome of the interview with the experts is summarized in a knowledge map. 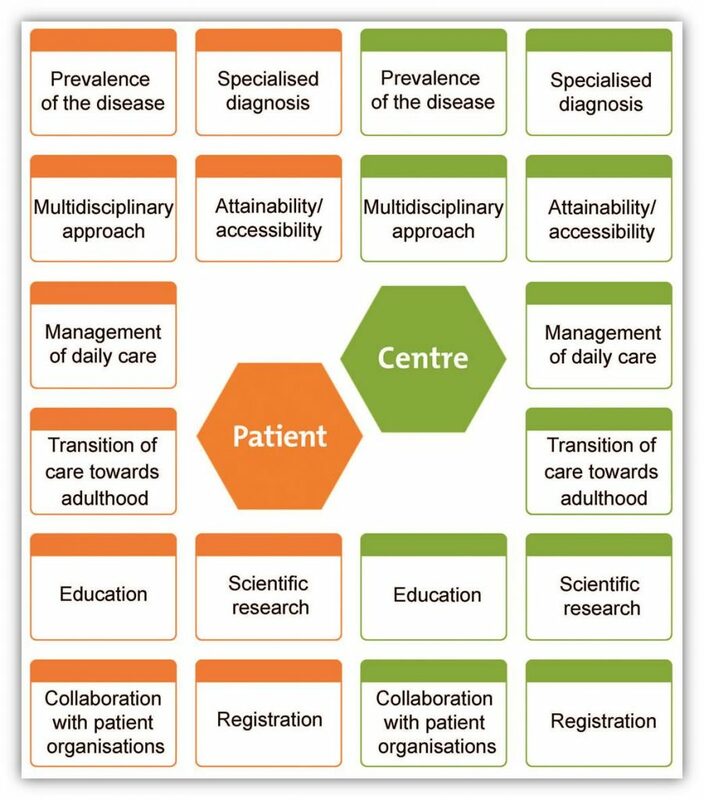 If there are more centres of expertise for one rare disease, each centre will get their own knowledge map. The knowledge maps will be published online. Once published, the concerned patient organisation will be able to keep the knowledge maps up to date.